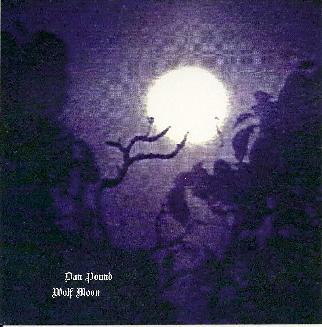 Dan Pound - "Wolf Moon" / "Aurora"
Northern California composer Dan Pound makes a very personal music, like painterly sketches of landscapes and natural phenomena whose intimate detail and expansive scope reveal not only the eye of the artist but his soul, as well. On both Wolf Moon and Aurora, Pound's debt to new age soundscaping and tribal spiritualism is made evident by his choice of instrumentation, including an array of synthesizers, flutes, didgeridoo, Native American percussion, and guitar. And while Pound clearly has his influences, they're submerged in such a way that they only evoke half-remembered echoes deep below the surface of his music. Wolf Moon resonates with nocturnal ambiences, inky textures and haunting sound silhouettes, placing the listener within the very heart of the sonic terrain Pound ably explores. Tracks like "Watching Through Trees" and "Unknown Territory" remind one instantly of the mystery and melancholy of Popol Vuh's soundtracks to various Werner Herzog films throughout the 70s. A deeply meditative calm pervades such tracks with their crescendo of percussion and their ritualistic flutes. Sequencer-driven pieces such as "Always on the Run" and "Making Tracks" careen through an enveloping mist of hovering synthesizers, environmental samples and chanting voices. "Making Tracks," in particular, illustrates Pound's deft control of his art, its wholly static sequencer ostinato serving as counterpoint to shimmering curtains of modulated pads and a haunting lead synth line that dissolves through the mix like quicksilver moonlight on a wintry crystal lake. The futurist tribal aesthetic of both "Ancient Spirit" and the title track combine percussion, electronics, flute, didgeridoo and spectral voices into mantra-like séances that merge the listener into the sounding silences of shadow and self. If Wolf Moon echoes the chiaroscuro of nature's inmost resonances, then Aurora telescopes its transitory beauty into a gallery of shifting, impressionistic sonic portraits. The exquisitely crafted title track is like a slowly evolving canvas of shimmering hues and glittering pastels splashed across a star-swept sky. Intertwining lead synth phrases materialize out of a modular drone, sparkle momentarily and then melt imperceptibly into a translucent sheen of icy strings and glassy electronic textures. 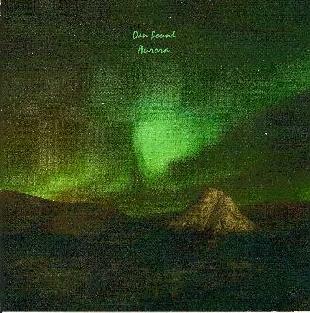 Tracks like "Northern Lights" and "Polaris" further illustrate Pound's debt, though not necessarily fealty, to some of the past masters of ambient sound construction (Steve Hillage's Rainbow Dome Musick, Steve Roach's Structures from Silence, and Don Robertson's Starmusic all come to mind immediately), and while not always trail-blazing, his contribution to the genre is both earnest and authentic. Honed to a fine crystalline beauty, "Polaris" drifts on wide washes of synthetic strings and a pulsating undertow of low-frequency tones that conveys Pound's vision of harmonic resolution in our increasingly chaotic and dissonant world.